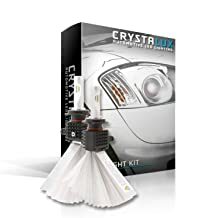 Our CrystaLux G9 Series LED Headlight & Fog Light Bulbs use the latest technologies available in an automotive LED bulb. The beam has adjustable 360° ring (single beam only) using the included allen key. 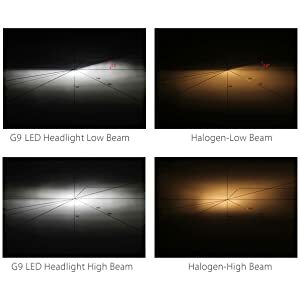 Single beam bulbs utilize 3 LUXEON Z ES LED chips per side while the low/high beam bulbs utilize 5 LED chips per side. Using a smaller size (2.0 x 1.6mm) the Z ES diodes are tiny and focus the light output with a uniform temperature (5700K). This offers a brighter bulb (lumen) with the perfect amount of illuminance (lux). A 15° cutting line (low beam) mimics a halogen bulbs light pattern which prevents glare or interference to other drivers. The T-Shaped Red Copper PCBs offer more direct and efficient thermal conduction then traditional LED bulbs as they make contact with an aluminum sheet (which is bendable). Double-sided copper PCBs with thermoelectric separation structure technology (at only 2.0mm thin) help dissipate the heat. The aluminum sheets offer a more efficient heat dissipation method then normal copper belts. The cylindrical feet on the body also provide more surface area to radiate the heat away. The smaller driver offers an easy installation for most vehicles. An aluminum cover provides better heat dissipation, EMC and anti-interference. 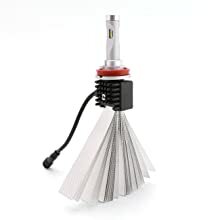 Some newer vehicles may require a CANBUS anti-flicker resistor (also called a decoder) as the LEDs use less current then typical halogen lights. This can cause lights to either flicker or go out. The CANBUS Anti-Flicker Resistors place a load on the line and let your computer know your headlights are not out. You may not require the CANBUS anti-flicker resistors. You only need to add/install these if you experience issues with your headlight turning off and/or flickering. Sold as a pair. Actual images shown may vary from actual product. Unlike other LED bulbs on the market, the CrystaLux G9 Series bulbs are smaller and fit into tighter spaces. Using LED diodes at only 2.0 x 1.6mm in size allows the light output to be tiny and focused. 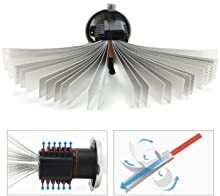 Utilizing bendable aluminum fins fused to Red Copper PCBs allows the bulbs to dissipate the heat efficiently, eliminating the need for cooling fans. 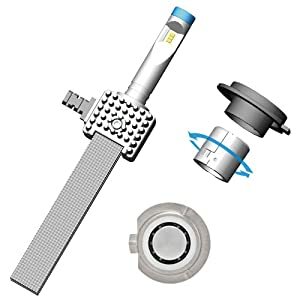 Single beam bulbs have an adjustable 360° ring which allows the bulb to be rotated from the collar. This is useful should the install require the wire to exit from a certain side. 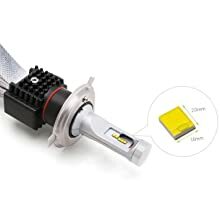 Additionally should the bulbs need to be re-purposed into a housing which calls for a different bulb size, the collars/led drivers can be replaced with new ones of a different size. This allows the owner to take the CrystaLux G9 Series with them as they change vehicles, saving money on upgrades. Because the LUXEON Z ES LED diodes are smaller and focused, the light output mimics that of a traditional halogen bulb. A 15° cutting line (low beam) mimics that of halogen bulbs. This allows the bulb to operate in most housings without producing any negative lighting anomalies (such as glare or light scatter).